Forget the Year of the Monkey. 2016 is the year of I Do’s. We have exactly 4 weddings to go to this year. And we know and love exactly 3 other couples who have gone off and gotten hitched! And now, over the weekend, another lovely couple in the family has gotten engaged. I’m overwhelmed with happiness for all these people in love. And of course all this love gets me thinking of my own engagement and marriage – because after all – I am human and I come back to how this impacts me. I can’t help it. So I’m reminiscing and looking at my engagement and wedding rings and then I notice how dirty they are. At the same time, a Dawn commercial comes on. The one that talks about how they use Dawn to save the oil covered birds…if you watch a lot of TV like I do, you know exactly what I mean. The rest of you, put down your book and YouTube it. Anyway it got me thinking. 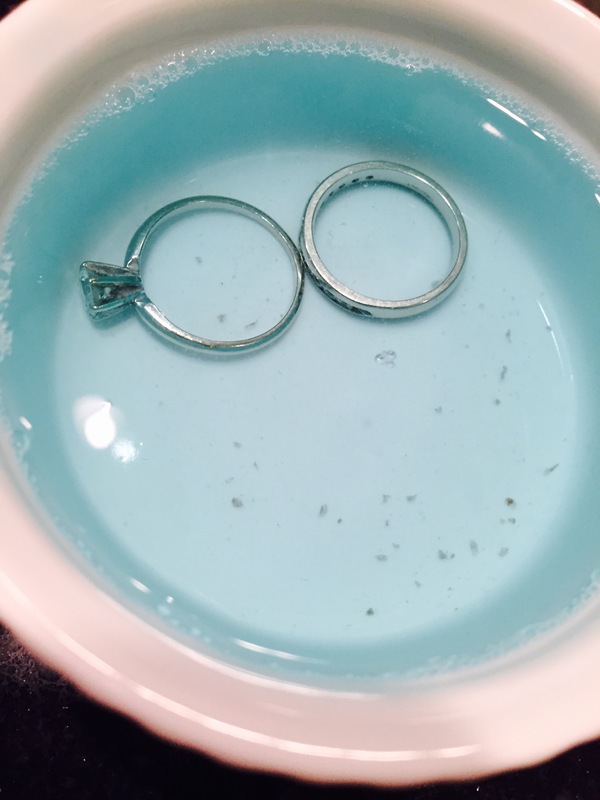 We have Dawn… If it can clean oil slick covered baby birds – it can clean my rings! And you know what? It did! Look at all the dirt coming off! How did I get from reminiscing about proposals and marriage to grime and dirt? I dunno. But that’s where I went. So this is my advice to all newly engaged/newly married members of my family. Eventually the ring gets dirty. And it’s good dirt. It’s cooking dinner dirt. It’s helping with homework projects dirt. It’s years of not caring about your ring dirt. But it all cleans away. And you still have all the romance, the excitement and love of that ring underneath. Here’s wishing you years of dirt and happiness. About 7 days ago every single conference I had planned for 2016 and 2017 got cancelled because of Zika. Two were in April. One was for over 1,000 people. Almost 2 years of work basically out the window. There were tears. There was anger. But at the end of the day, it was the right decision. We made our calls to let everyone know. We sent our apology emails. Not only did we distrupt the lives of all our attendees, but we also had to face our hotel partners. Yes they would get some of what we would be spending, but not all of it. But it was done. And now we move on. Like the Bionic Man, we will rebuild. Better. Stronger. And we did. Or are. These are all uptown problems, I know. No one is sick or dying or even hurt. We derailed vacations, not real life. Things will be fine. Although I woke-up the other day, in mid-March, with frost on the ground and found this on my wrist. 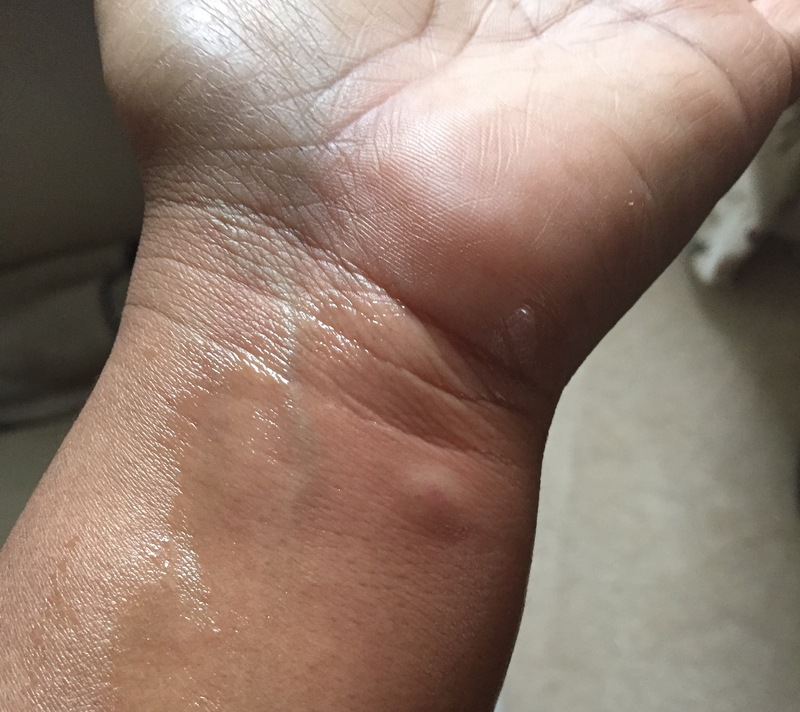 A mosquito bite. Oh universe. You’re so hysterical. I take a lot of pictures of my kids. Like an abnormal amount. I have a ton of albums and suitcases full of loose photos. I take a ton of pics. Still do. How can I not? First of all they are super cute, and I know I’m not supposed to say that, but #truth. Second of all it makes me happy. So there. All our relatives make fun of the way we’ve trained our kids. As soon as I take a camera out, they take position and smile. Usually when they don’t want to. But they do it for their crazy mama. Every year of their lives is fully documented. Even before social media. That’s why I was so surprised when I got this picture. Taken at the home of a sister friend years and years ago. A new picture from those days, a picture I had not taken is like finding a treasure. She sent it to me this afternoon and I’ve been staring at it ever since. 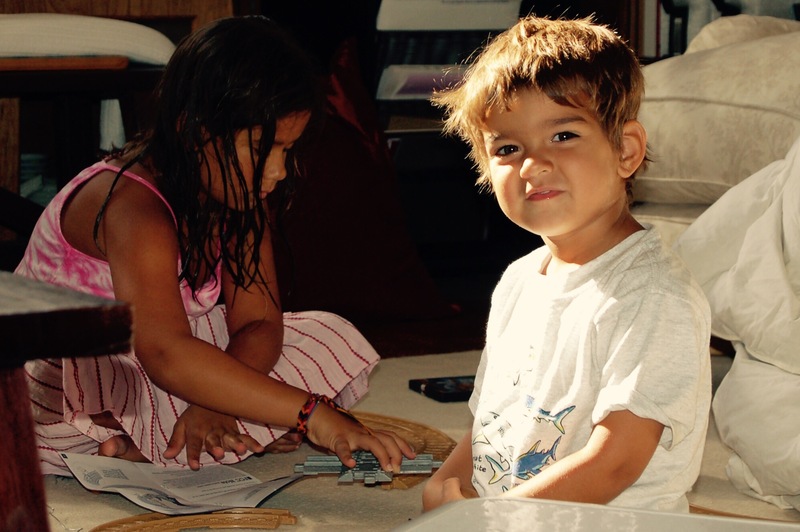 Kera intensely doing a craft – Jack smiling with his chunky cheeks – both of them golden brown. Where they back from the beach? What was that day? Where was I?